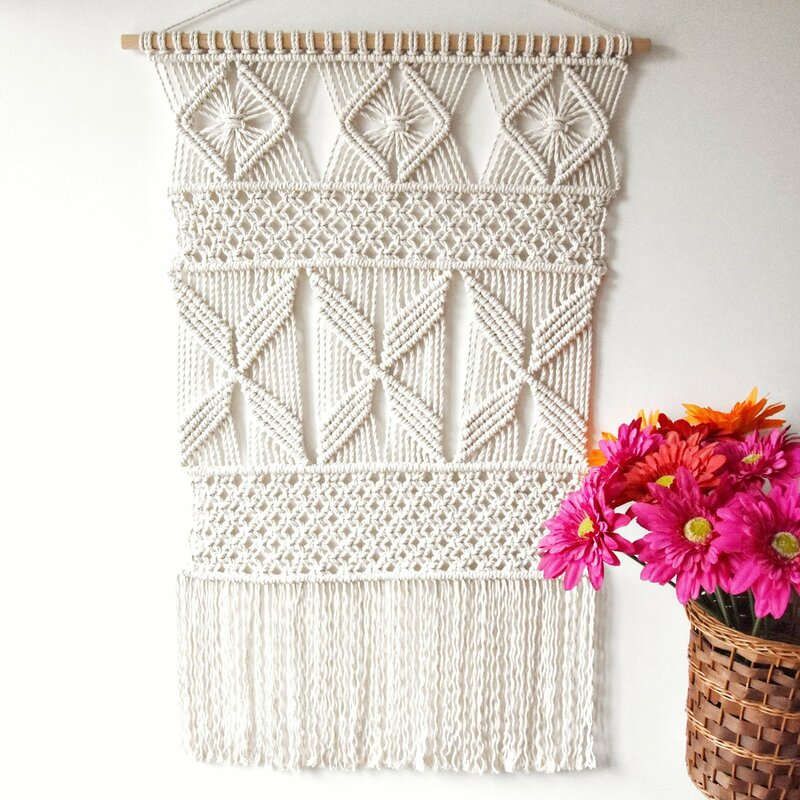 These beautiful modern macrame patterns are perfect for home decor crafters and DIY fans! 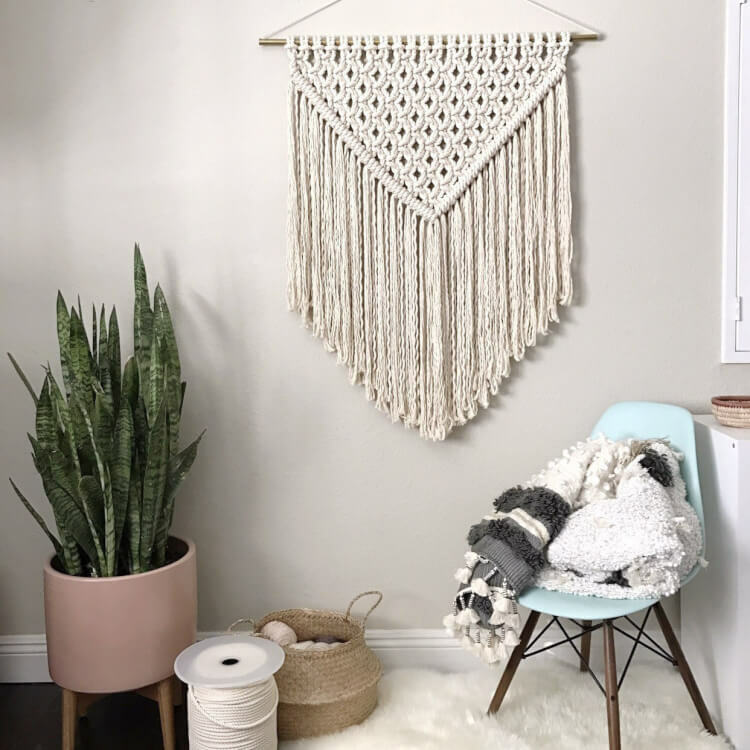 Vintage revivals are a hot trend these days, and macrame is rising to the top of the must-have list! 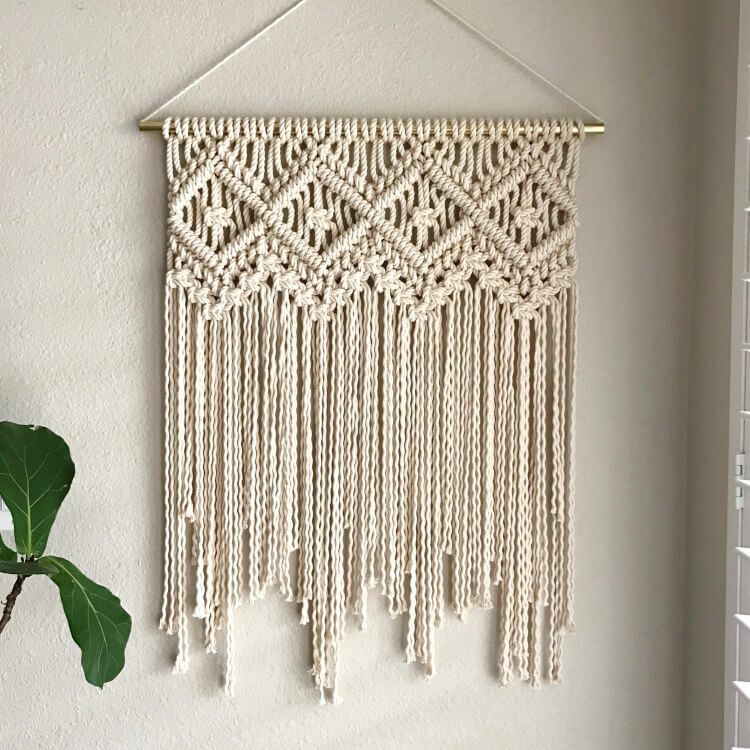 Last fall I attended the Michaels Makers Summit, and I fell in love with the art of macrame during one of our hands-on workshops. It’s SO soothing and relaxing (and a surprisingly great arm workout!)! 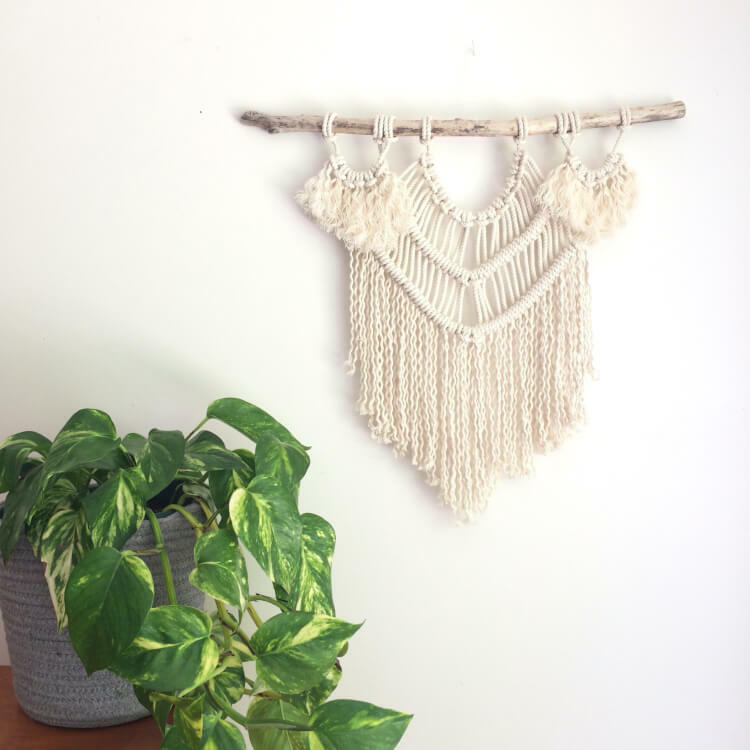 Macrame has been making a huge comeback lately, and it seems that I’m not the only one having a love affair with it! 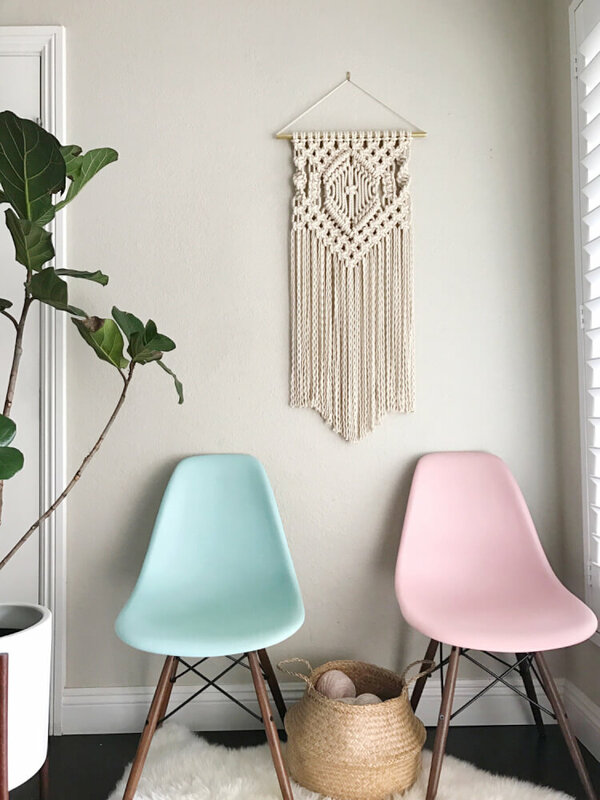 These awesome designers and artists are offering up these gorgeous modern macrame patterns – give them a try, and I bet you’ll fall in love with macrame, too! 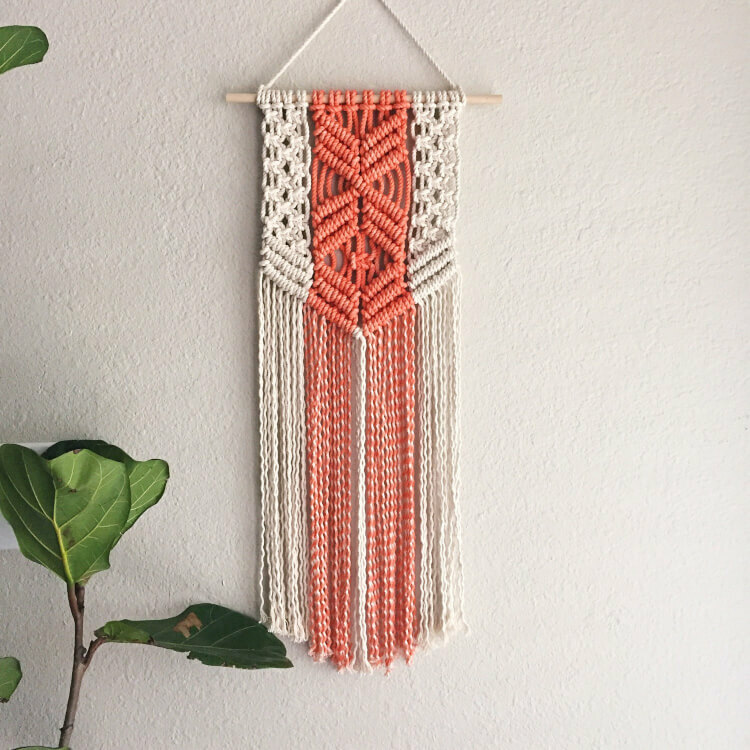 Have you tried your hand at macrame yet? Let me know in the comments! I’d love to hear what you think! 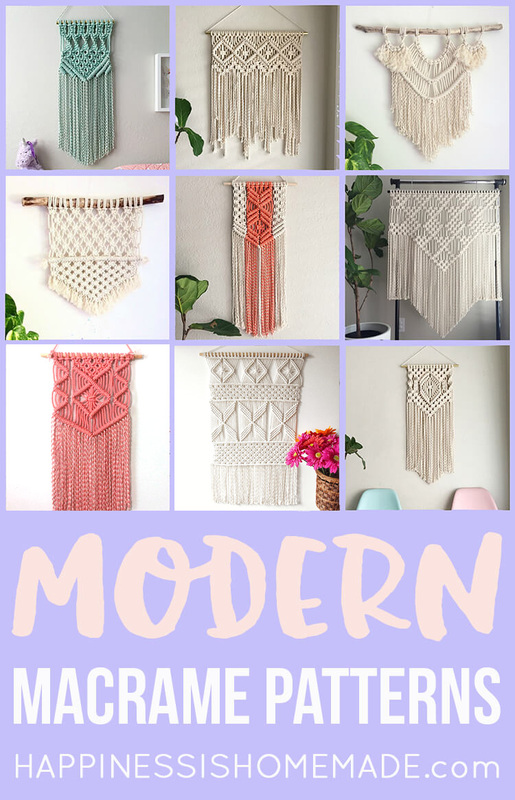 Pin These Modern Macrame Patterns for Later! Thank you for including my macrame tutorial Heidi!???? 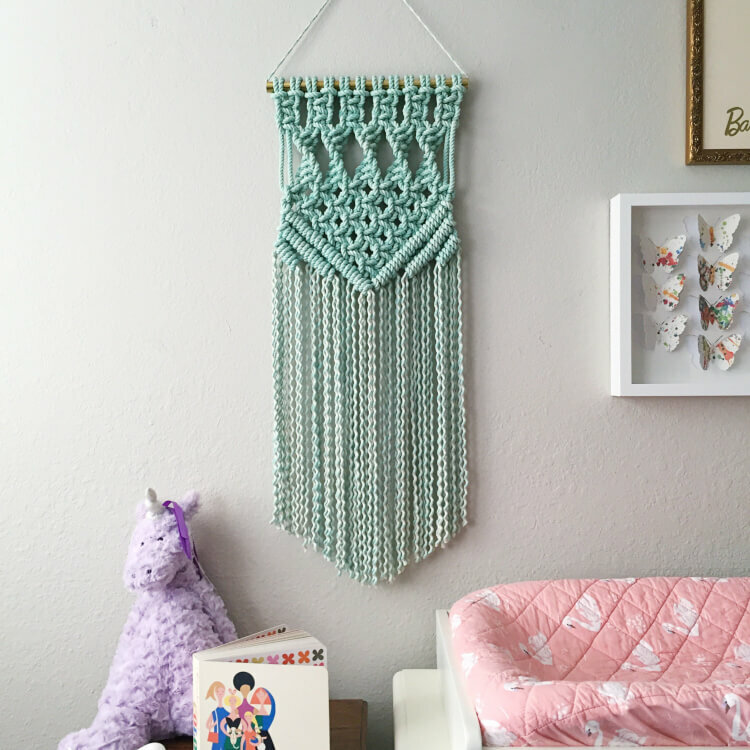 Can you please tell me how to get the macrame patterns? Hi Carrie! Simply click on each photo or the link below it to be taken to the patterns. I did macrame Tiffany lamp shades in the 70’s as well as hanging tables and plant hangers. I actually made pretty good money too but it petered out. I’m so glad it’s coming back and I can’t wait to get into it again! 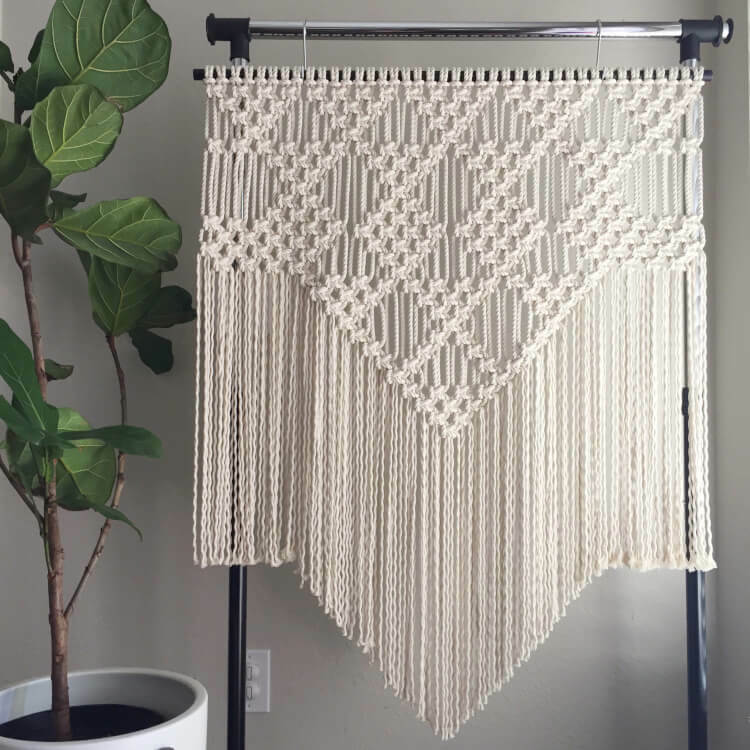 Four of Diamonds Macrame Pattern – I would like to have a go at creating this wall hanging – is there a set of instructions for it and a materials list. Heidi – I clicked on all the links and the pictures and the only instructions that would come up were the last set. Would you please check the links and see if they have been moved? Thanks so much! 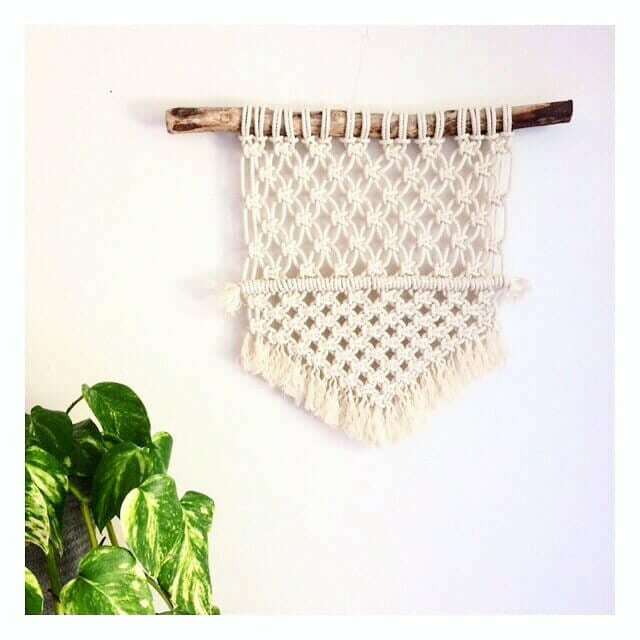 I love the wall hangings and would like to try a few but have no idea how much string to buy. I might be able to figure out the knots but so much easier with instructions. I’m so sorry about that, Vicky! There appears to have been a glitch in the link-shortening program that I had used. They should all be updated and working now. I appreciate you letting me know! I really liked doing macrame in the eighties with my mom. I loved these modern takes on it. 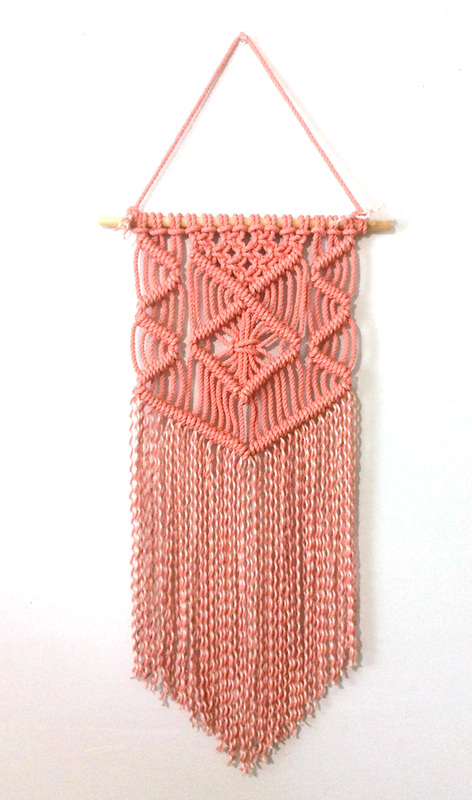 I love Macrame. I’ve made many plant hangers, Indian corn, carousel, owls and a hammock swing. I am looking for something new to make. I love these patterns. Im a self taughter and need to learn a bunch of knots yet, but will be trying these when I do. I taught myself macrame and made many different things in the 1980’s, even a Christmas tree that was used for many, many years. Then I got into other crafts but am excited to try a wall hanging. I totally love your coral natural, but center diamond and square twist chevron run a close second. Is there any chance of my getting one of these patterns. I am fairly new to Pintrtrest but did sign up for your emails. Any advice you have for me will be greatly appreciated. Heidi…I have never done macrame before but would love to have a go. What would be a good pattern for me to start with??? Hello. 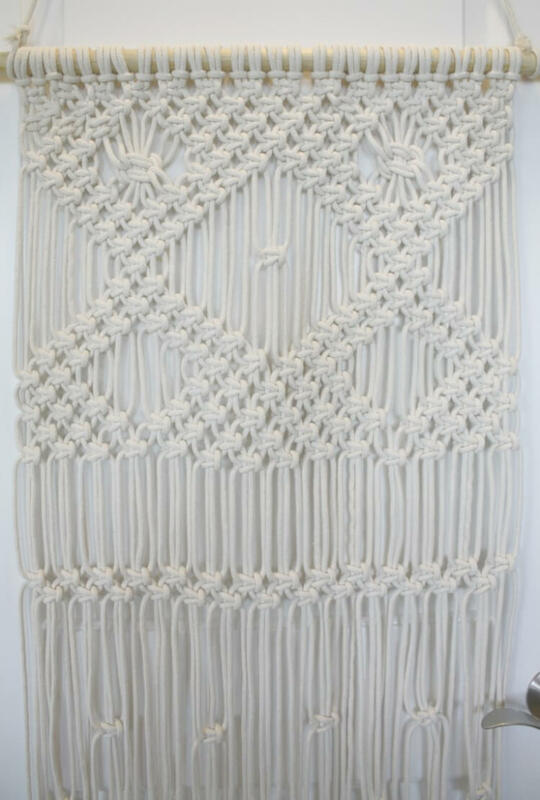 If I send you a pic of a macrame wall piece. Would you sell me the pattern. Looks like one of your pieces. Isn’t it wonderful to be able to achieve something so beautiful? Heidi you’re a gem for sharing these gorgeous patterns. I just tripped upon your site and I am so, so glad I did. I would like a beginner project that measures approximately 36″ wide and 36″ long for a wall in my bathroom. Do you have a pattern I can buy that fits that criteria? If this is your work it is beautiful. i think is just gorgeous. Cant even begin to explain what i really think. I learned to macrame in 1975 in art class in high school. i am now 56 and making paracord bracelets for family and friends. Trying to decide if I should attempt to open a Website to sell them, they are easy to make. I am going to attempt to make one of the easy patterned hangings you have on your website for a wedding gift for one of the nurses that is help taking care of me. I would like to find a pattern and instructions for a fairly large lamp shade. I have a hanging lamp in kitchen and want to cover existing shade which is made of capise shell.